As we reflect on 2015 and look forward to a New Year, I wanted to share updates on our progress here at Singularity University, our outlook for 2016, and to express our gratitude for your role in our community. 2015 was an important year for SU. We began building foundational blocks for scaling programs and impact, delivering stronger programs, and expanding and empowering our ecosystem of partners, alumni, and other inspired solvers. There were great successes in many key areas and, as you might expect with a mission as big as ours, learning and growth. We have an optimistic worldview and inside of this, we will always strive to make things better. Together, we can positively impact billions. The coming year will bring many new alumni chapters, in-country Summits, and local salons and gatherings organized and delivered by local alumni around the world. We developed infrastructure and a new team to support our global community members. This team will support alumni to share their passions, engage with local communities, and catalyze impact. Another successful GSP wrapped, and we added a new cohort of accomplished participants to the SU community. This year, GSP was 100% free for participants due to a generous grant from Google and numerous Global Impact Competition sponsors. This was important to our efforts to increase access for qualified candidates from diverse backgrounds. We’re proud that 2015’s GSP had participants from 45 countries and was comprised of 53% women. We also announced changes for GSP in 2016, which will be known as the Global Solutions Program. We added two additional Global Grand Challenge focus areas: Disaster Resilience and Prosperity. For the first time in SU history, we hosted the SU Labs Startup Accelerator. After 10 weeks on campus, seven great startups presented at Demo Day and blew us away with their technologies, progress, passion, and hustle. Teams received $100,000 to further their startups. Our accelerator structure is inclusive of for-profit and nonprofit startups with a mission. SU companies are being recognized globally with news and awards this year. SU Labs Accelerator startup Be My Eyes was highlighted by Popular Science in their Best of What’s New in 2015. SU Startup Network nonprofit member Calorie Cloud was endorsed by UNICEF ambassador P!nk. Disaster Mesh and iHelmet were finalists for the Verizon Powerful Answers Awards. Matternet, 1QBit and Blue Oak Resources were on the World Economic Forum’s Tech Pioneers of 2015 list. The Made In Space team was one of Forbes “30 Under 30” to watch and has some really big news coming out soon—stay tuned. In partnership with Lt. Governor Gavin Newsom, our 2015 Impact Challenge focused on solving the California drought. SuntoWater won an Entrepreneurs-in-Residence post at SU Labs and a grant to further develop their solar-powered appliance that produces potable water from the air. Also notable was our corporate partner Ingersoll Rand’s team who was inspired by a previous SU program, pledged to use corporate resources for positive impact, and achieved finalist standing in the challenge. SU Executive Programs remain consistently sold out, and we are expanding to meet demand and make programs more inclusive of geography, gender, and industry. Attendees came from 52 countries this year, bringing the all-time total to 78 countries so far. We’re thrilled to welcome new Development Partners Yunus Social Business, Amnesty International, and the World Research Institute to our partnership ecosystem. Lowe’s Innovation Lab announced a partnership with Made In Space to launch the first-ever commercial-grade 3D printer to the International Space Station. This SU Labs collaboration highlights the creative ways our community members come together to propel humanity above and beyond, literally. We are proud of our faculty and happy to see their work honored. Policy, Law, and Ethics Chair Marc Goodman’s Future Crimes was named Best Business Book for 2015 by Amazon and made the Washington Post’s 10 Best Books for 2015. SU Global Ambassador Salim Ismail’s Exponential Organizations was highlighted as a Top Business Book of 2015 by Fortune. Medicine & Neuroscience Chair Daniel Kraft became an Aspen Institute Health Innovator Fellow and was named Biggest Digital Health Evangelist by Rock Health. Singularity University exists to inspire positive impact in the world. We want to share with you some of the steps we are taking to empower our community. As a learning organization, we are constantly growing and working on the best ways to incorporate our teachings. We aspire to be and are working hard at becoming an exponential organization and are investing in technology and scalable processes to do so. We instituted dashboards and company-wide OKRs (Objective Key Results) for the first time this year. We are investing in key management positions with experience in these and other areas vital to helping us achieve our mission. We believe strongly in our programs and the transformative experience they provide to participants. For that reason, we want to ensure they reach as many people as possible. In order to better scale in 2016, we’re rolling out Global Community and Digital Education programming. We have a lot of work to do in these areas to meet our bold, audacious goals, but we are making good progress. We have several Global Summits being planned for 2016, including opportunities in India, Germany, Chile, the Netherlands, and New Zealand. We are also working closely with partners in Eindhoven, Netherlands to build out our first global location, and developing guidelines and frameworks for alumni to run several other programs at the local level. As our community develops local operations, we are putting in place the infrastructure to keep local SU communities connected as one global community. On the digital side, we’ve run two successful digital education pilots and will be rolling out the program in 2016. In the future, alumni will have the opportunity to bring digital education programs to their community. We also continue to expand free content with several initiatives, including SU Videos, which feature short-form content from across our live programs. We launched our first original digital series, “Ask an Expert,” and streamed various events in their entirety including Exponential Medicine, the Future of Series, the Impact Challenge, and others. We want people all around the world to have access to Singularity University ideas, experts, and content. We have posted many of our lectures and content on our SU Videos page, YouTube Channel, and through Singularity Hub, and we expect to develop digitally friendly content from our Digital Education initiative that can also be shared more broadly. Singularity Hub is tracking to have its most-trafficked year ever, which is a testament to the strong content, broadening interest in our expertise areas, thought leadership, and community connection. Ray Kurzweil just gave the opening keynote for the Nobel Prize proceedings in Gothenburg, Sweden. He gave 54 lectures in 8 countries this year, and won the 2015 Technical GRAMMY Award for Outstanding Achievements in the Field of Music Technology. He is currently working on three books including a novel titled, Danielle: Chronicles of a Super-Heroine, a companion nonfiction book, A Chronicle of Ideas, a book-length glossary to the novel, and The Singularity is Nearer, a sequel to his influential 2005 book, The Singularity Is Near. Peter Diamandis released his new book Bold as another best-seller of the year and is increasingly known as a thought leader for technology and disruption around the world. He has also helped us build extraordinary relationships with some of the biggest companies and notable thought leaders across every industry. We anticipate Peter will bring many more incredible ideas and connections in 2016. At the end of the day, the impact we make in the world is key to our success in achieving our mission at Singularity University, which is why in 2012 we became a Benefit Corporation. Accurately measuring SU’s successes and improving direct and indirect impact metrics are priorities. Our 2015 Impact & Benefit Report highlights some of our accomplishments. SU’s strength stems from creating transformational change; fostering an abundant mindset that catalyzes people and ideas into action. Today, that transformation is best measured by SU’s indirect impact through the SU community’s initiatives. The community is creating new organizations, innovating on existing ones, creating new research and development or new policies, mobilizing resources and advocating awareness and education. Though it is often hard to gather and measure these success stories from the greater community, we are proud of the great progress to date. Collectively, the reach of our community members is making strides towards positively impacting a billion people. Our community is made up of entrepreneurs, corporate partners, governments, development organizations, investors, and universities. When we bring these groups together with a mindset of solving Global Grand Challenges with exponential technologies, we have a unique ability to cross-pollinate and accelerate our positive impact. We are also developing a digital platform to support a global innovation ecosystem, leveraging multiple stakeholders from the SU community to enable collaboration and find solutions locally and globally. We do not pretend to know the exact playbook, but we are excited for the SU community to co-create it with us. This year, we began to see the fruits of partnerships between different members of that ecosystem, from the Impact Challenge by corporate member Lowe’s to our partnership with the Lt. Governor of California Gavin Newsom to address the drought problem in California, to collaborations between our development partners and our startup companies. This year we have begun to integrate social impact into our external and internal activities, including creating “business for good” sessions in our Executive Programs and hosting over 20 Global Impact Competitions. In addition to our Benefit Corporation status, we also started the process toward B Lab certification, which will help us maintain external checks and balances through third party audits of our social and environmental performance..
As a growing organization, we are always improving and maturing. We are joined in this mission together and we welcome questions, feedback, and ideas from our community. One question we like to ask is, “Are we leaving the world better off by our actions?” Our answer is yes. The journey is only at the beginning and we are glad that you’re all part of our community. If you want to get in touch with us, please email info@singularityu.org. At the age of eight, I was introduced to the Tom Swift, Jr. series of books. They taught me that the right idea has the power to overcome seemingly overwhelming challenges. Simple… 4 small requests: 1) $100 billion in investable cash with which to commercialize the inner solar system. 2) Nanobots with which to connect my brain to the cloud. 3) A pharmaceutical solution to aging 4) Instructions for cloning myself 10 times. 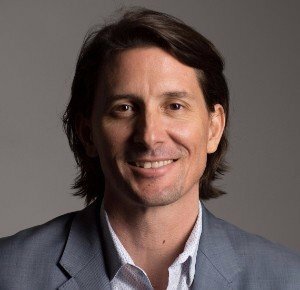 Would CEO Rob Nail let Aldebaran robot “Pepper” babysit his child? Absolutely! However, Beckett has already proven himself capable of loving the NAO robot to death and showing it to be a very expensive toy for a toddler within about 15 minutes. In the case of Pepper, I think we would have to get a dog as well. There is an old automation joke, that the factory of the future will have only two employees, a man and a dog. The man will be there to feed the dog. The dog will be there to keep the man from touching the equipment. In this case, the robot will feed the dog and the dog is to keep Beckett away from playing with Pepper. Until the platform is a little more robust, a toddler will run circles around it and surely destroy it on the first day! Somebody within the SU community discovers a breakthrough for cancer, or longevity, or world peace! But I secretly also wish somebody would find a disruptive form of space travel that would allow everyone to see the beauty of space and cherish, preserve, and protect our home planet we call Earth. Complete the business plan for the first B&B in space, Maureen’s Lunar Cafe, named for his wife. Tagline: Great Food—No Atmosphere! The full sized car won’t be something to buy for a long time. But Santa might send one to pick you up and take you places like an Uber in 2019. A toy car is a more interesting question which Santa might be able to buy around the same time. Her 94-year-old grandmother’s favorite perfume (Red Door). Every day, she still gets completely dressed, does her hair and make-up and puts on her perfume. I think many people her age would have given up on such things, but I see it as her way of still showing up, still being part of society and the world. I love to hear that she is running out of perfume, as I know that even though she is getting very old, she hasn’t given up yet. Build empathy through exposure to the problem and stories, then take action. It could be a clothing drive, toys for tots, or donating through your religious organization. The most important lesson to teach is that it’s not enough to feel sad or even to care deeply. You must do something about it, no matter how small. And ideally, not just during the holidays but year-round. Growing collaboration among and between faculty and staff, and setting a new bar for not just what we teach, but how we teach it. His wife. She was born on Christmas Day.